After multiple delays and an increase to the project budget, The Woodnote Housing Cooperative has secured the $18 million total funding to push forward, with construction set to take place in the spring. The Woodnote housing cooperative is a 90-unit, 144-room apartment building designed for Concordia undergraduate students. 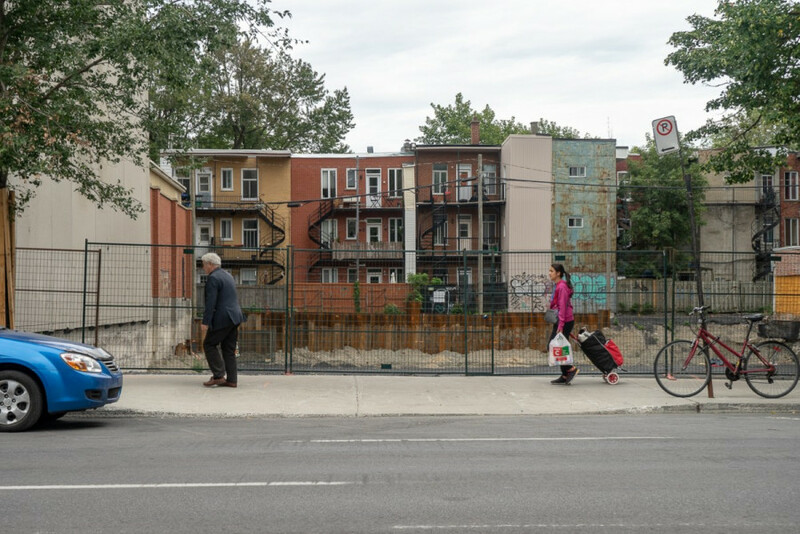 Construction for the housing project will take place on the corner of Papineau Ave. and Sherbrooke St. East, next to La Fontaine Park. “We are very proud that this major and innovative CSU capital project is moving along and will be breaking ground soon,” said CSU General Coordinator, Sophie Hough-Martin in a CSU press release. The increase in the budget was mostly due to the rise of construction costs in Montreal as well as the 25 per cent tariffs on steel imposed by the Trump administration. Levesque said they’ve been working since July 2018 to resolve the issue and obtain the necessary funds for the project. “Our objective was to find a way to resolve this without adding any CSU money to the project, which is something we accomplished,” Levesque said. The extra funding comes from partners of the project, said Levesque. Montreal tripling their donation last month, as well as an added $1 million from Le fonds d’investissement pour logement étudiant, contributed to the extra funding necessary. The Caisse d‘économie solidaire Desjardins—a credit union that specializes in cooperatives and affordable housing—also added $1 million. Levesque said that the rest of the funds come from a mix of different sources. CSU’s press release said other partners will be announced later this year. Constructions Bâtiments Québec have signed onto the project, and Levesque said a contractor is confirmed too. Because of the cold, construction for the Woodnote won’t start in November, beginning instead in the spring. As a result Levesque said it won’t meet the July 2019 deadline. “The foundation can’t be laid until the ground thaws,” said CSU finance coordinator, John Hutton. In October, Levesque told The Link that if the 2019 deadline is not possible, that UTILE would recommend the CSU amend the contract to extend it. This was a routine update, according to Levesque. The term sheet is currently at its 31st version, and is updated yearly at council to reflect up-to-date situations of the project. “Construction projects evolve […] and it’s important for us to proactively keep CSU informed about where the project stands and for them to have oversight on the development process,” Levesque told The Link in an email. The updated term sheet also states that there will be a 10 per cent increase in rent, but will mostly be funneled towards the rents of studios. Levesque said all of the units will be about 20 per cent below market price. Hutton added that the rents won’t have to increase beyond inflation and over time, as other rents increase, the Woodnote will actually get cheaper compared to the average market rate.